We're just steps from the Seattle International Airport's runway and Seattle's Link Light Rail, for convenient access to metro Seattle. One of the most conveniently located hotels in Seattle near the airport, Red Lion Seattle Airport is a leading provider of comfortable accommodations in the area. We're happy to offer complimentary airport transportation that runs every 5 to 7 minutes to and from our Seattle airport hotel run by Master Park, look for a yellow airport shuttle with our logo on the side. Plush amenities, casually luxurious guestrooms, that include brand new plush pillow-top beds, 55 inch HD flat screen TVs and premium service are just some of the hallmarks associated with Red Lion Hotel Seattle Airport. Whether you're in town for an extended layover, looking to explore the best of Seattle, or are in town for business, you'll enjoy retreating to our 144 guest rooms. Relieve the stress of traveling in our state-of-the-art fitness center after enjoying a signature breakfast, lunch, or dinner in our on-site dining facility. Please note: Long term parking only available when booking a park and fly package. With a convenient location near Seattle's Link Light Rail, you have easy access to local sports, including the Seattle Seahawks. The famous Pike Place Market is a must-see for visitors, and so is the Space Needle. Explore breweries in the area, and see why Seattle is the jewel of the Pacific Northwest. From comfortable beds to unparalleled service, our Seattle airport hotel offers a variety of amenities you're unlikely to find at other hotels near Seattle Airport. A world-class fitness center, carefully crafted menus at our dining facilities, and 24-hour shuttle service are just some of the perks you'll enjoy while staying with us in one of the most convenient locations. 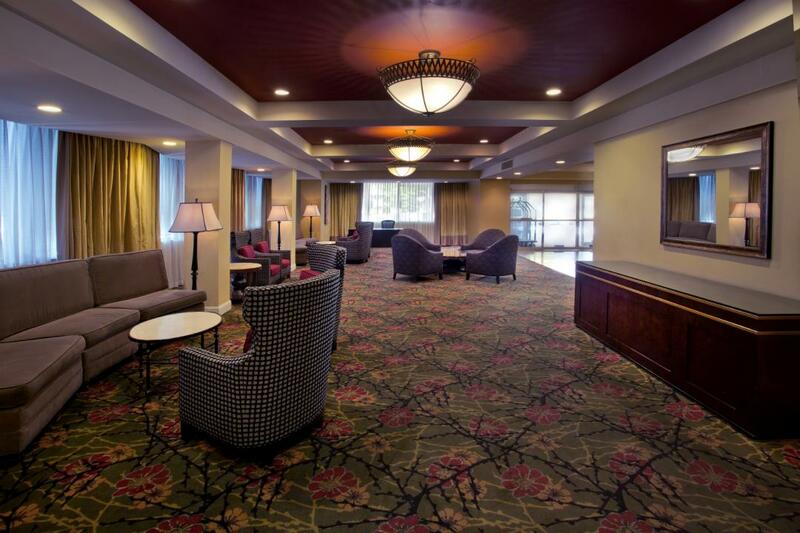 Conveniently located near Seattle-Tacoma International Airport, Red Lion Hotel Seattle is the perfect hotel for business travel in the Pacific Northwest. Plan your next business trip to Seattle to include accommodations at Red Lion Hotel Seattle Airport, where you’ll have access to everything you need for a productive stay. Welcome to our pet friendly SeaTac Hotel. We are happy to welcome pets to our hotel, especially yours. We have rooms specifically designated for you and your furry family member with close access to the outdoors and exercise space. Please contact us if you would like more information about our pet policy. (Pets are an additional $15.00 per stay). Get to Seattle-Tacoma International Airport easily from Red Lion Hotel Seattle when you get a ride on our complimentary Sea-Tac Airport shuttle by Master Park. Whether you’re flying in with the family or returning home from a business trip in Seattle, our convenient shuttle service gets you to the airport on time and in style. Our Sea-Tac Airport shuttle by Master Park runs 24-hours a day from Red Lion Hotel Seattle Airport, with rides available every 5-7 minutes. Use our complimentary shuttle service when you need it, or as part of a Park & Fly package; Red Lion Hotel Seattle Airport gets you where you need to go. 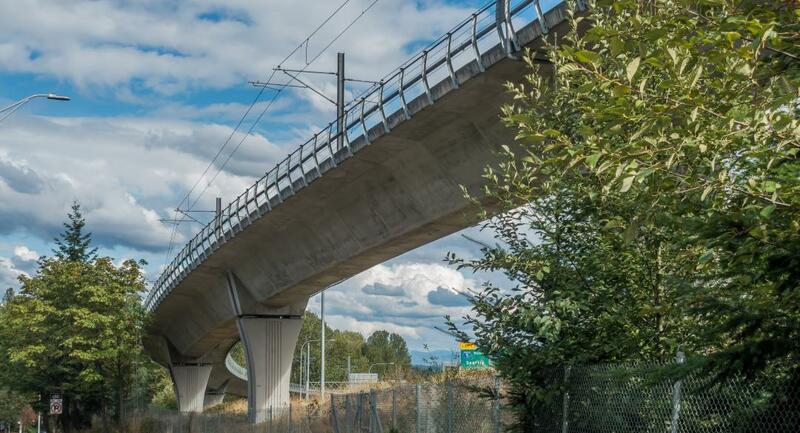 Seattle's Link Light Rail is an easy and convenient way to travel throughout the metro region. Stations run from South of the airport starting in Angle Lake all the way up to the University of Washington, stopping at many popular Seattle areas along the way including Rainier Beach, the Stadium area, Pioneer Square and Capitol Hill to name a few. 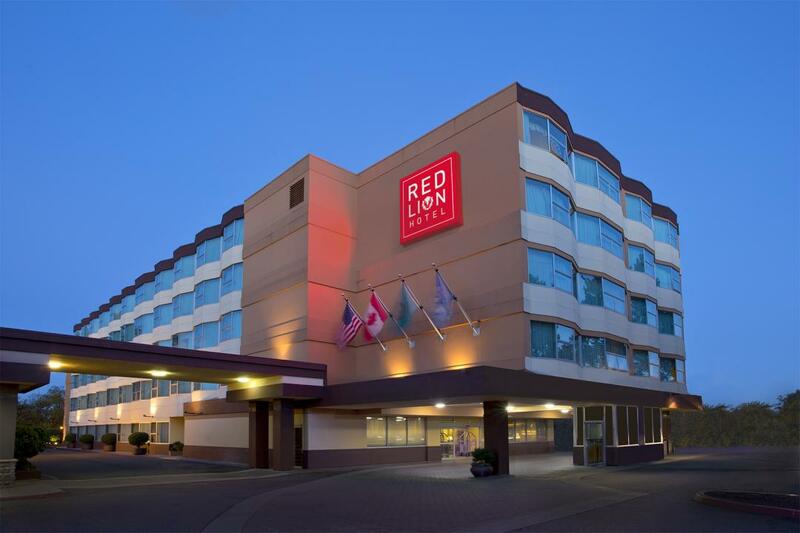 The Seattle Link Light Rail SeaTac/Airport Station is a short walk from us at the Red Lion Hotel Seattle. The Seattle Light Rail is a great to use whether you're heading downtown to catch a game, attend a meeting, going to a festival or just sightseeing our beautiful city. Wake up to our sumptuous signature breakfast in Gregory's Restaurant, sip on your favorite coffee beverage at onsite Café, grab a quick bite at our Cafe2Go station, or have a cocktail and light fare in Gregory's Lounge. 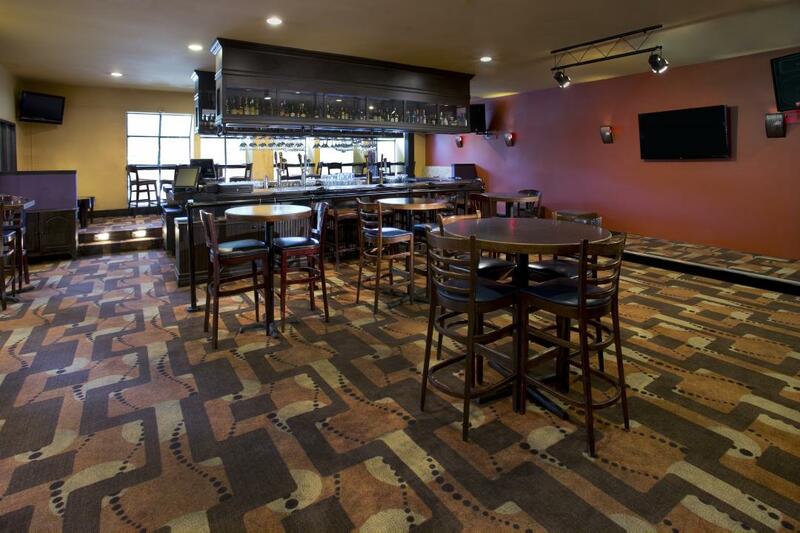 Regardless of where you dine at Red Lion Hotel Seattle Airport, you're in for a tasty treat. Among the best Seattle restaurants, our onsite dining options offer delightful meals in a warm atmosphere with the convenience of never having to venture far from your guest room or suite. Find flavors from all over the world in every corner of the city without ever having to venture far. There are a variety of Seattle restaurants that have an option sure to please every palate. From seafood to Italian to Asian fusion and a variety of exotic food choices, you won't be disappointed in your Seattle dining experience. Don't miss this Seattle institution located in Alki Beach. As a neighborhood landmark since 1969, Alki Spud Fish & Chips prepares meals that are cooked to order. Locally owned and dedicated towards giving guests a unique northwest dining experience, Anthony's serves fine fresh seafood that is carefully prepared. From Alaskan salmon and halibut to oysters and clams to Certified Angus Natural Steak, chicken, pasta or signature sandwiches, there is an option here for nearly every palate. Don't miss the happy hour menu, a staple of the locals. Based on availability, Salty's at Redondo provides free van service from many Sea-Tac Airport hotels. Offering some of the most authentic Thai cuisine and unique cocktails, Mango Thai Cuisine is a gem among restaurants in Seattle, WA. A favorite of our catering manager, Bistro Baffi offers a European look and feel, delightful Italian cuisine and a full-service bar with wines imported directly from Italy. With a name that derives from Peruvian origin, 13 Coins is famed for its swiveling captain's chairs. Home to some of Seattle's many first dates, proposals, celebrity sightings and group gatherings, this is a venue not to be missed. As one of the most conveniently located Seattle Airport restaurants, Gregory’s offers flavorful dishes within Red Lion Hotel Seattle Airport. A favorite among Seattle Airport dining, you’re sure to have a delicious meal here before having a good night’s rest or taking off on your next flight. A neighborhood favorite with karaoke Wednesday through Saturday, you’re unlikely to find great food and an inviting atmosphere like this at other restaurants near Seattle Airport. Energize your adventure in the Emerald City with a Signature Breakfast each morning at Red Lion Seattle Airport. Featuring a selection of made-to-order eggs, cold cereals, yogurts, an assortment of fresh breads, pastries, and much more, the Red Lion Signature Breakfast is the hearty way to start your day. Families love our signature breakfast buffet for its convenience and affordability; kids under 6 years old eat free with every adult purchase. Get together at Gregory’s Restaurant, the on-site eatery at Red Lion Hotel Seattle Airport and enjoy the most important meal of the day with the most important in your life. Great Coffee. Great Conversation. Great People. Don’t settle for regular Seattle Airport coffee. 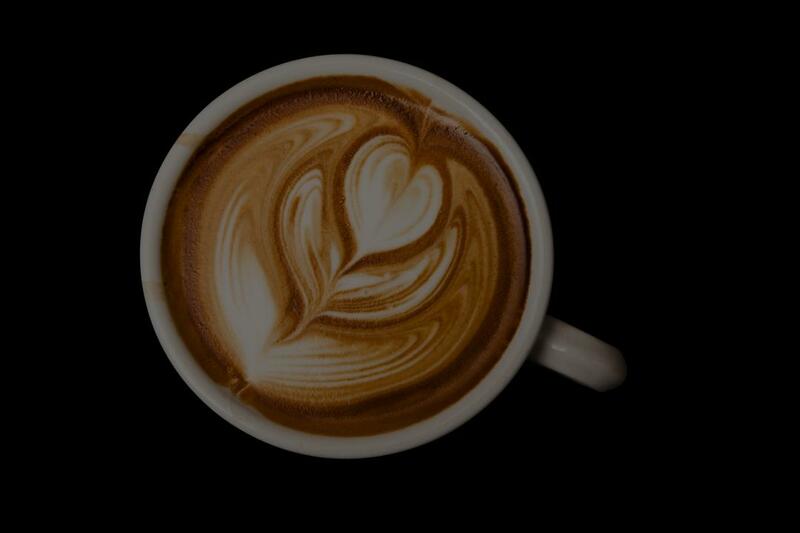 When you stay at Red Lion Hotel Seattle Airport you’ll be steps away from authentic North West Coffee. The Whidbey Coffee shop is located in Gregory's Lounge. Discover for yourself how good Whidbey Coffee is and why it was voted the "Best Coffee On Whidbey Island". Whidbey Coffee is known for its dedication to excellence in the way they source, roast, and develop their coffees to bring the best possible experience you could ask for. Stop by Whidbey's today. *Option to charge to room is available. 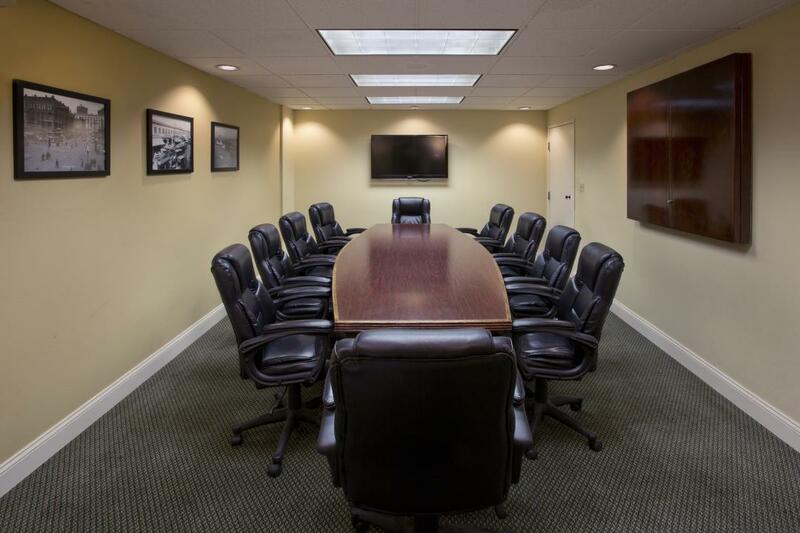 Offering 4,500 square feet of modern Seattle meeting space, Red Lion Hotel Seattle Airport boasts five well-appointed Seattle meeting rooms. Our event space can facilitate a banquet or conference of up to 110 guests. From informal networking breakfasts to board presentations to cocktail parties and receptions, our talented meeting and catering staff will help plan an impeccably executed event. Looking for catering in Seattle for your next big event? The talented staff at Red Lion Hotel Seattle Airport offers a wide range of food and beverage options to suit your every need. From all-day events, dinner affairs, breakfast buffets, or snacks for a meeting, our menus have something to please nearly every palate. We have extensive experience as one of the most chosen Seattle wedding caterers in planning large scale events and retreats in addition to smaller, more intimate gatherings. For further assistance and to plan your event, please call (206) 246-5535 and ask for the catering director today. At the Red Lion Seattle Airport, we recognize the hard work that our local, state and federal government employees provide, which is why we’re excited to offer the per diem government traveler rate at our Seattle hotel. Fueled by government activity, Red Lion Seattle Airport is an ideal Seattle location to rest and recharge. For the best government discounts on Seattle hotels, look no further. If your agency is traveling as a group, contact our Sales Team at (206) 246-5535. Terms: Guest must have valid government ID at check-in to our Seattle Hotel. Active duty/retired military personnel, federal, state & local government, cost contractors, the staff of public schools, colleges and universities and employees of foreign governments are eligible for the per diem rates. Situated amongst Seattle's unmatched views, Red Lion Hotel Seattle Airport offers a convenient location just minutes from the best Seattle landmarks. From hidden gems and classic activities to outdoor family fun and quintessential Seattle events, there are always a variety of things to do in Seattle. Steps from local restaurants, unique boutiques, and recreational activities, Seattle is a cultural hub that you won't want to miss out on. But don't take our word for it, plan your Seattle, WA vacation to Red Lion Seattle Airport and discover the best of Washington for yourself. Ascending to 14,410 feet above sea level, Mount Rainier is an icon among Washington's picturesque landscape. Tucked away in downtown's Pioneer Square is Waterfall Garden Park which features a 22-foot cascading waterfall. Wander through the exhibition hall, glass house, and outdoor gardens to view breathtaking blown glass from internationally acclaimed artist Dale Chihuly. Wonderfully maintained by Highline Community College, you won't want to miss a visit to the botanical garden in SeaTac airport. From lavender sugar to crystallized rose petals to their signature Market Spice Tea blend of cardamom, cinnamon, and apple, visitors of all ages are sure to find spending homegrown spices. This museum features a variety of vintage automobiles as part of the Pacific Northwest's premiere collection. Don't miss a visit to the Jimi Hendrix Memorial which honors one of the most creative and influential musicians of the 20th century. This one-day pass gives you access to the Space Needle, Seattle Aquarium, the Argosy Cruises Seattle Harbor Tour, Pacific Science Center, EMP Museum and your choice of the Woodland Park Zoo or The Museum of Flight. Seattle's famous boardwalk aquarium offers Argosy cruises around Puget Sound. Take a ride on the Seattle Great Wheel, the newest addition to the downtown waterfront near Pike's Place Market. Hop on a "Duck" for a ride around downtown Seattle and a cruise across Puget Sound. Home to the Seattle Seahawks, Century Link Field is one of Seattle's premiere sporting and event facilities. Home to one-of-a-kind boutiques and eateries, you're sure to pick up unique gifts at Old Towne Burien. The Light Rail is located just 3 blocks from the hotel and brings you right to the Shops at Westlake Centre for a day full of shopping opportunities. As much more than just your average shopping center, Kent Station is an open air village that offers opportunities for shopping, dining and much more. One of North America's largest music and arts festival, Bumbershoot takes place every Labor Day offering food, comedy and live music. Washington's State Fair, Puyallup Fair, gives you a chance to eat deep-fried Twinkies, watch pig races and a real live rodeo providing wholesome family fun. A three-day anime convention organized by the volunteer Asia-Northwest Cultural Education Association (ANCEA), Sakura-Con offers anime-lovers a chance to dress in full costume at the WA Convention Center. Sip on Seattle’s best beers at one of the many nearby craft breweries. Considered the craft beer capital of America, the Pacific Northwest and Seattle are home to some of the best breweries in the country. Take a tour, sip on samplers, and get inside access to the beer-making process when you stay at Red Lion Hotel Seattle Airport, located near many of the region’s most popular breweries. Featuring a tap room and brewery in nearby Tukwila, ODIN Brewing Company offers tours, tastings, and a tasty BBQ menu that pairs perfectly with their beers. Boasting three family-friendly locations within Seattle, Elliott Bay Brewing features locally-sourced, certified organic, handcrafted beers in a contemporary brewpub setting. Go on a tasting tour or dine on elevated pub fare, with plenty of local Seattle beer on tap. Brewing a variety of seasonal beers, IPAs, ambers, reds, and much more, the creative Big Al Brewing Company offers brewery tours at their Seattle-area location. Dubbed “the Neighborhood Brewery,” the family and pet-friendly Tin Dog Brewery features a warm and friendly atmosphere in which you can sample a wide variety of craft beers. The true microbrewery offers tours, as well as a fun tasting room where outside food is welcome so you can grab meals to-go from Gregory’s and hit the road for a unique indoor “picnic” adventure with the whole family. Planning a vacation to Seattle? Situated amongst some of the country’s most picturesque settings, Washington offers a variety of attractions, activities and a variety of opportunities for shopping, dining and nightlife. Embark on a week-long escape or a weekend Seattle getaway and find the perfect spot to park your car at Red Lion Hotel Seattle Airport. Our Airport Parking Packages all include overnight accommodations for one night, plus up to 14 days of complimentary hotel parking while you enjoy your flight. Plan a flawless getaway and stay just steps from the Seattle-Tacoma International Airport's runway with complimentary 24-hour airport transportation to and from the hotel. From lush parks and quaint eateries to larger shopping complexes and sporting events, Seattle is home to a variety of things to do. After a day (or night) full of exploring this bustling city, retreat back to your comfortable guestroom to take advantage of a variety of amenities that mimic the conveniences of home. Whether visiting for graduation or a prospective student, when you stay at our hotel, you'll find yourself moments from the university district, including the University of Washington, Seattle Pacific University, and more. Our many amenities make us a chosen destination among hotels near Seattle University. The nearby area offers you the convenience to the airport, local light rail station to take light rail to the University of Washington, a bustling downtown, and some of the area's most prominent universities, making Red Lion Hotel Seattle Airport a standout among hotels near the University of Washington. One of the Oldest Markets in the U.S. Experience one of the oldest Farmers' Markets in the U.S. and stay nearby at Red Lion Seattle Airport, a convenient hotel near Pike Place Market. Established in 1907, Pike Place Market Seattle overlooks the Elliott Bay waterfront and comprises nine acres from Pike Street north to Virginia Street and from 1st Avenue west to Western Avenue. The Market’s historic arcade, winding alleys, stairways and lower levels offer a multitude of sights, sounds, tastes, aromas and textures. Sample seasonal offers at a farm stand while listening to a Motown or bluegrass classic from a busker while taking in the variety of goods in the crafts market. Visit Seattle's world-famous fish market, and watch the fishmongers hurl today's catch to one another in Seattle-style. Pick fresh-baked goods from a European style bakery, browse collectibles, vinyl records books and rare treasures in small shops. One thing's for certain, you'll never run out of things to see and do when you stay at one of the top hotels near Pike Place. Red Lion Seattle Airport invites all NFL fans to stay with us during our Seattle Seahawks home games. Our Seahawks hotel is located directly located across the street from Sea-Tac International Airport. You may walk from the airport to our hotel or take the free airport shuttle that runs 7 days a week, 24 hours a day, every 5-7 minutes. On game day, we're only two walkable blocks from the Seattle Light Rail that will take you directly to and from CenturyLink Field. Seattle hosts some of the best teams in the country, and our hotel near Safeco and CenturyLink Field gives you easy access to them all. Quarterback Russell Wilson leads the Seahawks along with Richard Sherman and the Legion of Boom. The Mariners play America's past-time in Safeco Field, while American soccer legend Clint Dempsey leads the Seattle Sounder's strike force. Whatever sport is your passion, the best teams and the best fans are in Seattle. Even if you're not an expert, you're always welcome to join The 12th Man. Not wanting to fight the hassle of downtown traffic? Take the LINK light rail downtown. You will have stress-free access to downtown Seattle without having to find a place to park before the big game. Also, make sure to stop by Gregory's Bar and Grill before the game and enjoy game day food and drink specials. The Legion of Boom has been terrorizing quarterbacks and receivers for years. After winning the 2014 SuperBowl, Russell Wilson, Richard Sherman, and the Seahawks have quickly become one of the NFL's most popular teams. Join the crowd as part of the Seahawk's legendary 12th Man, which always makes it daunting for any away team to play on the home field at the Seahawks Stadium. Join the MLS's most fervent supporters at the next Sounders match. With their iconic bright green jerseys, the Sounders have been one of the best teams in the MLS the last few years. Watch Clint Dempsey and others dribble swiftly past defenders and score firecrackers on their way to the MLS finals. The Mariners play America's past-time in their gorgeous stadium. Our hotel near Safeco Field makes it easy for you to travel to the stadium for an afternoon of tailgating, grilling and of course, baseball. Check Out Our Game Day Package. Shoes, bags, unique gifts and more await your Seattle shopping excursion when you stay at Red Lion Hotel Seattle Airport. Conveniently located near endless opportunities for the very best shopping in Seattle, our hotel offers comfortable accommodations that are an ideal retreat after spending the day exploring some of the area’s best stores. From big retail to specialty shops to delightful boutiques and more, the newest fashion trends and most charming gifts are waiting at some of the most desirable boutiques in Seattle. Seattle attractions appeal to adventurers of all stripes. For explorers looking to hit the outdoors and climb mountains, Mount Rainier is just a short trip away from the city with skiing, hiking, and many lively activities. For urban adventurers, The Space Needle lets you have the view of a mountain in the middle of the city. Savor a panoramic view of the Emerald City. Standing high in the middle of the city's skyline, the Space Needle is Seattle's most famous building. Its slender curves and disc-topped summit make it instantly recognizable. The SkyCity Restaurant lets you dine in style on modern dishes with the best view of the city. A meal there comes with a free trip up to the Observation Deck to see jaw-dropping sights. At 520 feet, nothing blocks your view from an amazing 360 degree view of Seattle. Any trip to the city isn't complete until you've seen it from The Space Needle. A trip to Seattle means that you're near Washington's excellent ski slopes and impressive mountain ranges. Mount Rainier is the highest point in Washington, at 14,411 feet. This active volcano last erupted in 1820, but during the winter, its slopes are covered in white, shining snow. In addition to Mt. Rainier's towering presence, Northwest Washington offers many ski resorts outside of town, including Crystal Mountain Resort, which will let you experience the mountain in both summer and winter. In summer, explore their hiking and horseback trails and take in a meal at the Summit House Restaurant. Few Seattle neighborhoods are changing more rapidly than South Lake Union (dubbed SLU), a trendy epicenter of progress and development not far from downtown. By day, the streets bustle with Amazon worker bees; by night, Seattleites and visitors alike frequent the district’s many restaurants and bars. At Lake Union Park, stroll through our waterfront park and stop for coffee or a glass of wine at Compass Cafe. Sign up for a class, hop on a boat or take a moment to sit by the water and catch your breath. Our Union Lake hotel gives you ideal accommodations while you explore this and other Seattle attractions.